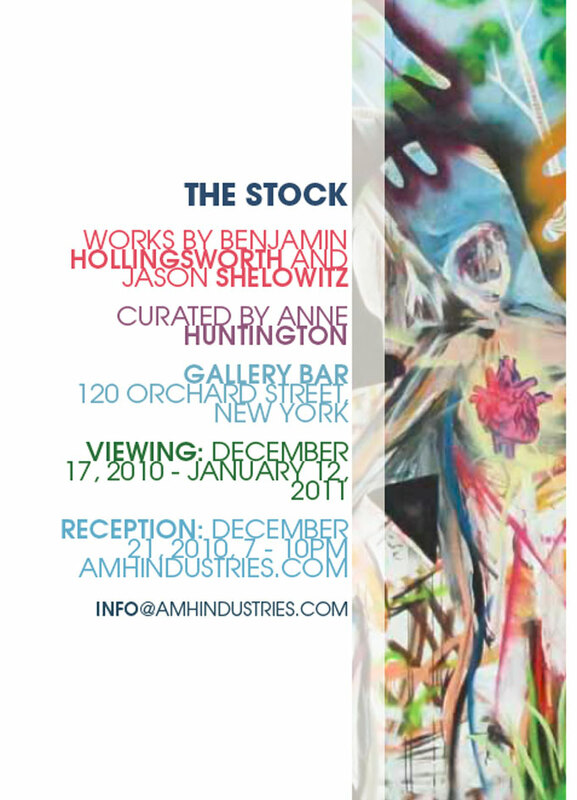 The Stock, a contemporary art project by Benjamin Hollingsworth and Jason Shelowitz, showcases mixed media works thematically based on our community, giving back and cultural understanding – taking stock in our community, curated by Anne Huntington at Orchard Street’s innovative Gallery Bar. Shelowitz, based in NYC, traveled to South Carolina to work with Hollingsworth, based in Charleston and NYC. The outcome is a vibrant and multi-dimensional narration of Shelowitz and Hollingsworth’s interpretations and ideals of the theme on large scale panels and small scale paintings. The mixed media creations successfully present a dynamic and explosive exchange, generating dialogue and buzz. This is the first collaboration between Shelowitz and Hollingsworth. The result shows the fusion of two conceptually diverse artists who came together from different cities with talent and individualized artistic approaches and backgrounds. The outcome exhibits artistic and communal stock and power. Hollingsworth: The Stock is an exercise and exchange of ‘goods’ between two artists who were strangers but who collaborated with a message of giving and helping one’s fellow man. 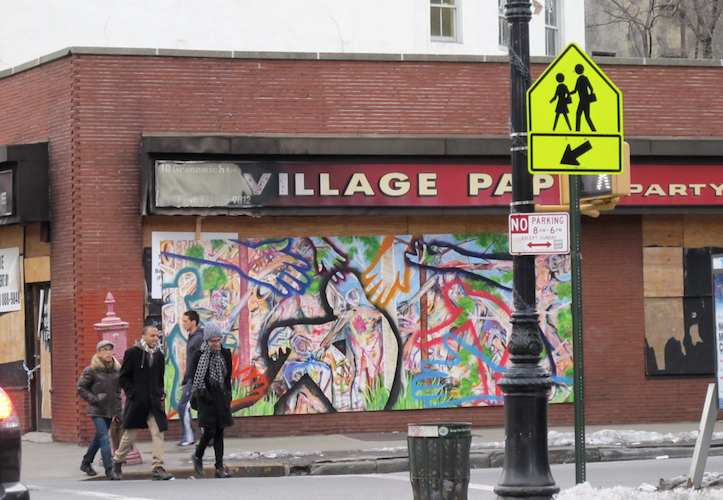 The mural was done within the vein of coming together and making something purely as something to give or show without any real commercial gain in mind. The paintings on vellum board paper are of people in my neighborhood and the community here, in South Carolina; in a way they do not look any different than those who live in my neighborhood in NYC, which shows that community is not made up of a place but of a people. Shelowitz: Living in a soceity is much like any other relationship – there is a give and there is a take. In order for people and the society they live in to advance, a balance between the two is imperative. These new paintings address the theme of community, helping others and progress. Much of my newer works aim to achieve similar goals; working together and treating each other with respect and kindness. Benjamin and I worked together on three of these paintings. Collaboration is an integral aspect of a functioning community, as well as a valuable exercise in growth as an artist. Gallery Bar, the inventive backdrop for The Stock, underlines its core of bringing the community together in a creative way.